Sowell Life: Cakes y'all! & One Happy Month! Cakes y'all! & One Happy Month! We've been married a month today. How crazy is that??!! And what am I craving today?? Our wedding cake!! 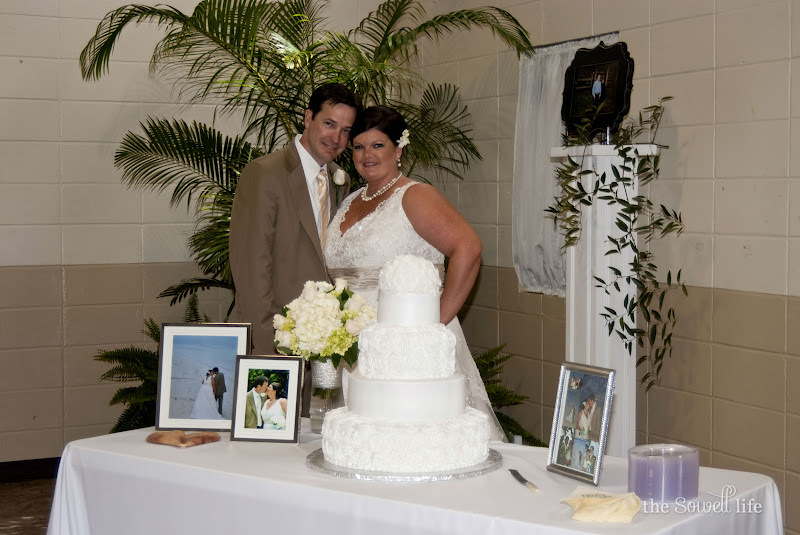 Mrs. Carol Fanning made our dream cakes (& cupcakes) for our wedding reception. You have no idea how amazing these cakes were... I'm talking melt-in-your-mouth, make you wanna slap yo mama, nothing could be better... amazing cakes! 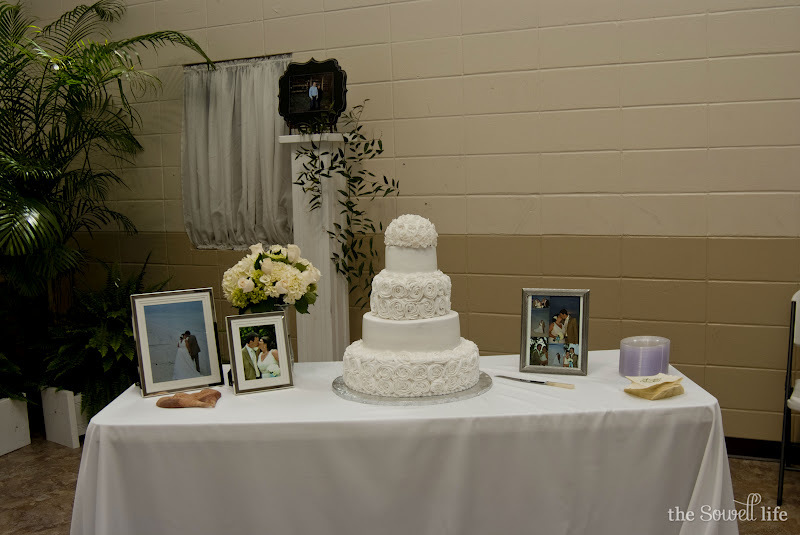 The wedding cake was designed by the me, the Mrs. When my parents told us they were hosting a reception for us once we returned home, I started my search for my perfect wedding cake. The Mr LOVES buttercream icing and this cake is FULL of it! The idea of the cake came from two cakes that I put together to make this one, LARGE, 5 tiered cake. 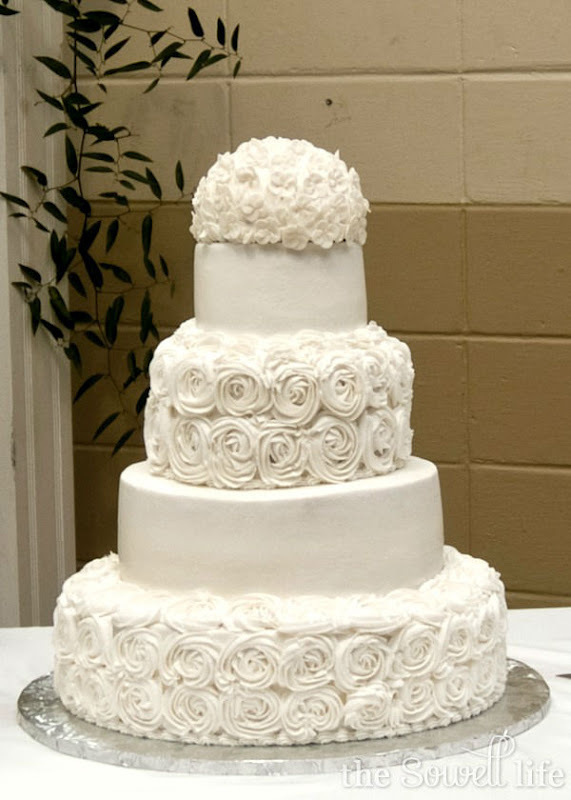 The bottom and middle layers are covered in buttercream icing roses. The top layer has some fondant tiny flowers. The layers between are slick buttercream. I LOVED the look of this cake, and the taste, which is rare these days... usually one or the other is lacking. Mrs. Carol — you nailed it! 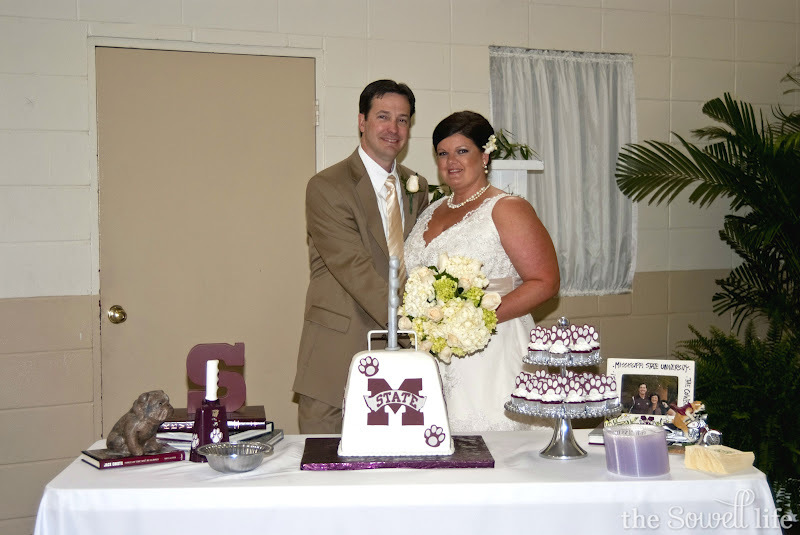 Again, Mrs. Carol made the cowbell cake and the cupcakes. The cowbell was chocolate cake and the cupcakes were red velvet. I never got one of the cupcakes to try, but the grooms cake tasted just as good, Terry says "if not better," than the wedding cake! We can't wait for our one year anniversary. Not that I'm wishing our life away, but because Mrs. Carol is making us our wedding topper again for our celebration!!! Stop thinking about traditions, y'all — we have our topper in the freezer and we will cut it and take a bite, but nothing and I mean nothing beats a fresh Carol Fanning cake. Happy one month of wedded bliss to the Mr. I fall in love with you more and more each and every day!! Yours was stunningly beautiful but I am LOVING the Cowbell cake!!! Both cakes look amazing! I say go ahead and eat your topper! We did at our 1 month, and it still tasted so good! What a stunning and beautiful wedding cake!! So simple and and yet I know it took her a lot of time to do that!! And The Mr cake: adorable!!!! I so wish we could do our reception over again. 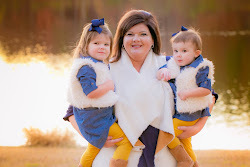 Once we complete our adoption we will be renewing our vows while dedicating ourselves to our child in a church ceremony and hope to have a big reception after. Wow time is flying by! A month already?! What a gorgeous cake Joy! I've not forgotten, have you? Moroccan Oil... a must have!